Guinea pigs’ tiny hearts beat from 200 to 300 times each minute, according to the Merck Veterinary Manual. And, that’s their resting heart rate. Your resting heart rate should be between 60 and 100, even lower if you’re athletic. I don’t have a way to listen and count Princess Piggy Poo’s heartbeats, but she sure seems calm for a creature with a racing heart. Seriously, for a prey animal that runs to hide at the slightest movement, Princess Piggy Poo is one chill cavy. Her breathing is steady and, when I hold her, I don’t feel the rat-a-tat-tat that I imagine 200 beats a minute would feel like. 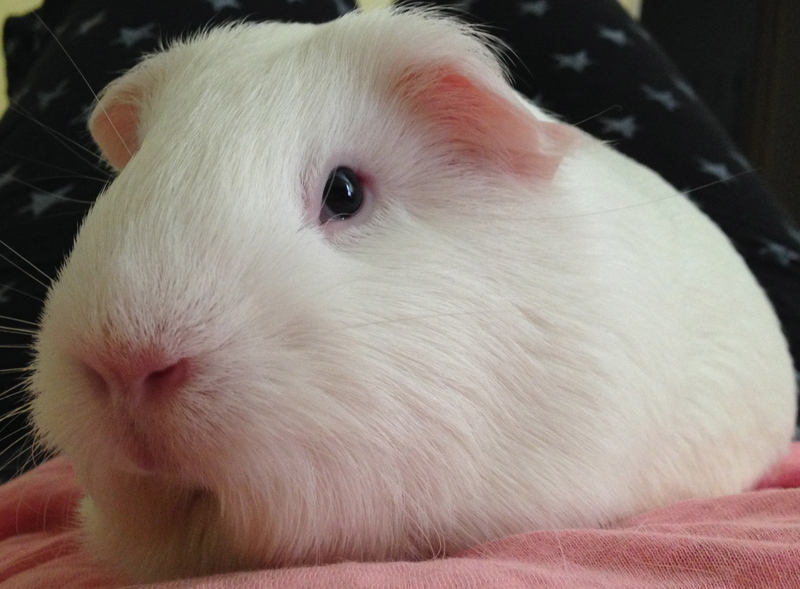 Princess Piggy Poo is proof that living a stress-free life is good for the heart. She has organic food delivered to her and hugs and kisses showered on her several times daily. There’s the safe haven of her hiding house when she need it. She can’t even imagine that every guinea pig isn’t living the good life that she is. Maybe sometime I’ll borrow a stethoscope and give a good listen to Princess Piggy Poo’s heart. I wouldn’t be surprised if her heartbeats are fewer than mine. This entry was posted in Uncategorized and tagged cavy, guinea pig, guinea pigs, heart rate, heartbeats, hearts, hiding house, prey animal, princess piggy poo, stress-free. Bookmark the permalink.